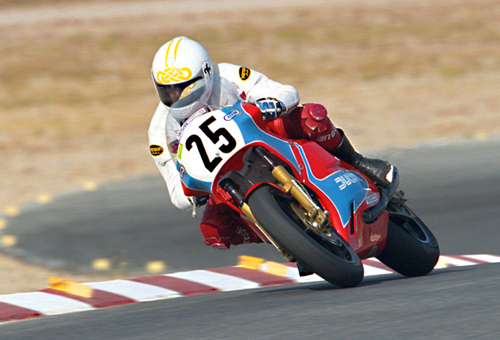 This is a photo of me on my F1/TTf2 race bike that was bought from Ducati North America as a race bike in the early 80's. 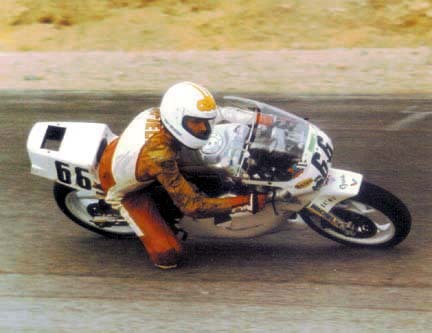 I still race this at Willow Springs every month, finished 2nd in the heavyweight vintage class against some "Jap" 4's. More info can be read on this at www.amasuperbike.com in the garage section, Mick and Guido. I'm currently developing a 450 Desmo racer, photos to come soon.